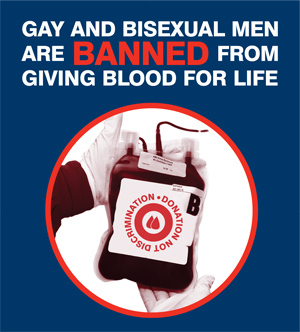 – the Gay men blood ban: well, the lifetime ban by the National Blood service got lifted in September 2011. Now men who have engaged in sexual activity with other men in the past get a one-year-deferral, which is also the case in Italy and Spain. I’ve written about the ‘Donation not discrimination’ campaign of the National Union of Students LGBT section (also supported by Stonewall, UNISON and others) in my Chapter on space, digital networking and political identity. – the HFEA consultation on egg donation & compensation. According to the October 2011 press release, the HFEA decided to pay women £750 per cycle of donation, which according to Lisa Jardine reflects the ‘value of donation’ – not sure what this means. But I think I understand what ‘capitalise’ means in this sentence: ‘That’s why we have decided to capitalise on our unique position by actively helping the sector to attract and retain donors, use their donations to their full and ensure that donors are well cared for and valued.’ One of my thesis chapters examines some feminist biopolitical assemblages around the 2011 HFEA consultation and reproductive rights more generally in relation to debates about the global flows of information and bodily material. This entry was posted in queer, reproduction, Social change, Theory, thesis journal and tagged commercialisation and commodification of women's bodies, gay men blood ban on January 19, 2012 by Aristea Fotopoulou.